Martin Holan is sent to Prague to examine a mysterious World War II tunnel. What begins as a short expedition to Prague quickly turns into a dangerous and thrilling mystery! 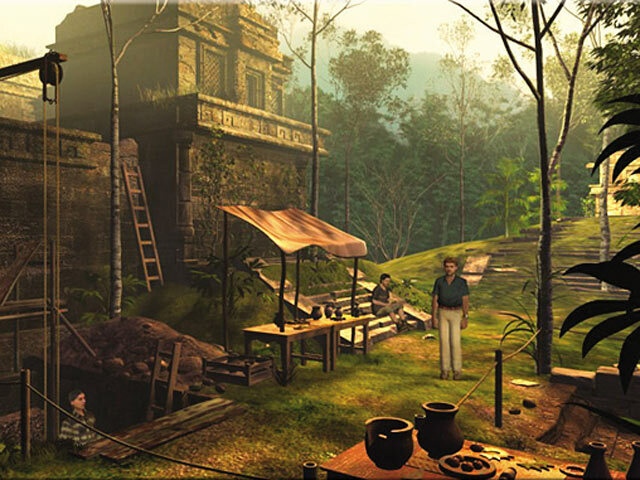 Brace yourself for an adventure involving murder, deception, the deep dark secrets of the Nazis, and the demise of the Mayan civilization. Travel through 80 locations of breathtaking scenery and a captivating musical score. Join our hero, Martin Holan, as he is thrown head first into the heart of an exhilirating adventure! 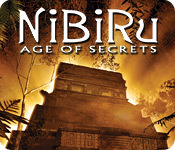 NiBiRu: Age of Secrets is rated 3.0 out of 5 by 26. Rated 5 out of 5 by Siliuntao from Love it!! Amazing. I love the storyline and some of the challenging puzzles. I really felt like Indiana Jones lol. Rated 5 out of 5 by gingergal from A classic that stands the test of time From the makers of black mirror (the original) comes this classic point and click adventure. After just replaying it, it does stand the test of time and the graphics are as good as any modern day adventure game. You play as a nephew doing some investigation on behalf of your uncle and you travel around the world. This is good as there is a lot of variety of places and locations to play in. This isn’t a 360 game so no worries about nausea but the game mechanics might be a bit different if you have never played black mirror. To access the main menu it’s top right (cogwheels) and it’s a manual save game like most LF games. The curser turns a metallic colour whenever there is something to do and will stay that way until you have fully investigated that area. You need to remember to right click as well as left click on everything you see, and as well as that to right click on items in your inventory bar. You combine things in your inventory. Keep going back to talk to people until they repeat themselves. There are a few puzzles in this game and it’s a good idea to save before doing them in case you get stuck and need to go online to a walkthrough or need to reset a puzzle. This isn’t a game I’d recommend for beginners as it is not easy but I loved it as the variety of scenes and areas are there, good amount of interaction and things to do as some LF games can be nearly pure dialogue which I find boring. Also each area is quite contained so there isn't huge amounts of wandering around wondering what to do next, so if you didn't like Syberia because of that you'll like this. It’s a long very good quality game and I dearly wish they would make a lot more games like this as this is an excellent game to judge others by. Couple of things to note - There are a few threads in the plot which are either introduced but never fully explored or not fully pieced together. (why I gave it 3 out of 5 but I did really enjoy the plot) Animal lovers won’t like a scene in which you have to do something to a rat. There is some swearing and there are some spelling mistakes in the subtitles. You do need to play this with the sound on as a couple of times it is clues for things to do in the game. It is quite disconcerting with the black cutscenes and the voiceover but be patient it does pass. Highly recommend it. Rated 5 out of 5 by Sergeij from A Lot of Dialogue and Some Very Brutal Puzzles! This enthralling game is chock-full of dialogue and a few very long monologues, so, be prepared. The game is intriguing in the sense that, there are no hints or sparkles of any kind. You're completely on your own. The story line is very good and the characters are interesting. And, strangely, a Chief Inspector's last name is Clouseau! The dialogue lines, which just seem to "stand there," can be moved along if you left-click your mouse after each sentence or clause. Or, you can click off all of the dialogue and run the risk of not fully knowing what's going on. The locales are great: Germany, France, Mexico, etc. And the scenes are always colorful and alive. The game also has a nice, long length. 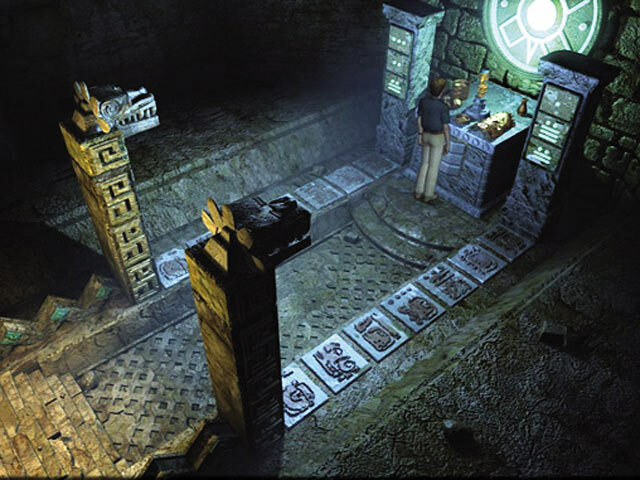 The protagonist, one Martin Holan, has his hands full, especially at the end, in a Mayan temple, as he tries to solve a bead, or marble puzzle. I must admit that this particular puzzle was the most difficult I have ever encountered. It takes some time -- even hours to solve! But it's worth it, as are all the rest of the wonderful mysteries contained in this game. If you liked "Syberia," "Syberia II," and "The Tree of Life," then you'll love Ni.Bi.Ru. Rated 5 out of 5 by Tweety_44 from Another good find! I thoroughly enjoyed this game, and wish I'd bought it sooner! Great story, graphics and locations, in addition to good characters and superb voice acting (listen out for the talented James Schumann, who plays Kate Walker's boss in Syberia 1&2, and who also lends his talents to Echo: Secret of The Lost Cavern & others! ), make this one of my better finds from Big Fish! It's not quite on par with games such as Syberia 1&2, but a good find nonetheless! However, the ending was a bit of an anti-climax, but the journey to get there, more than made up for it! Definitely value for money! Rated 5 out of 5 by coha92 from For Experts! An excellent game! Very challenging. The good story line, awesome graphics. Except for the beads puzzle towards the end of the game it has some sort of easy puzzles that you cannot skip. I got stuck for several hours in the beads puzzle and even there is videos on how to solve it the lay out is different for everybody. I read that people gave up but I didn't and I solve it. A suggestion, start from outside-in by colors and you'll get it solve. (I was following the instructions starting from inside-out but couldn't solve it that way) Give a try! Awake your brain cells!!!! Rated 4 out of 5 by SylvanNun from Great older game! 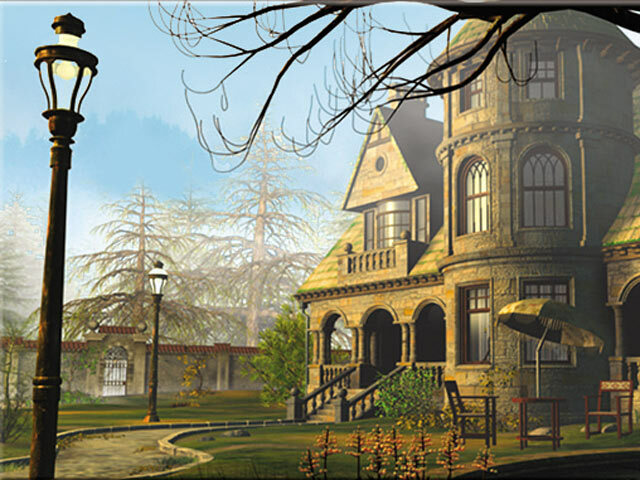 If you're a fan of the "large file" adventure games, you'll enjoy this one. The graphics and voice acting are still pretty on par with some of today's games. I always appreciate when the storyline actually makes sense, and this one has A LOT going on so it's a plus if you can pay attention; however, if you're not much for dialog or don't really care so much about where the story is going, you can skip it. Also, if you like WWII history and/or conspiracy theory you'll REALLY enjoy this but even if you don't, the discoveries you find as this character feels creepily plausible...until the very latter part of the game. Rated 4 out of 5 by Polisuco from A nice little adventure game A very nice and entertaining game with easily solvable puzzles (except for the mayan numeric system one). It's a shame about the ending though, very anti-climatic, indeed. I'll have to say I felt it was a bit on the short side, too. The way the game ends begs for a sequel but, sadly and unfortunately, after 10 years, that is not likely at all. The only awful things I can point out are the extreme linearity of the game and the cringeworthy voice acting, especially that of the main villain. In short, it's a very nice little adventure game, but I was left feeling it could have been so much, much better. Rated 4 out of 5 by basswomanuk from NiBiRu Great plot, detailed animations, atmospheric, but very inconclusive and disappointing ending! Rated 4 out of 5 by BeInformed from This is an old'y but a good'y. Just played this one again, Darn thing still gets me thinking. Yes I did get mad at it once, ok twice. But thats the fun of these types of games. Clearly not as hard a "Scratches" but not many are. This is a game for older teens and up to my age. Some might find this a bit scary. You have to work with game setup options to get the camera movement to your liking. this is a hard game to master. Well, happy frustration to you, not going to solve this one in one night. I would have given it higher fun rating but it made me angry a few times. So this is how I get back at the game. Rated 4 out of 5 by Lao_Zi from Yes, I liked this game When I bought this game, I first got frustrated because I had difficulties finding out how the controls worked, even after disinstalling and reinstalling the game a number of times. But then I tried installing the game on another computer and everything worked just fine. Seems something was wrong with the installations on the first computer. Anyway, once I got under way, I really got into the game. I have to confess that I very much like this kind of game where you have to explore different locations, follow a storyline, combine objects from an inventory to find solutions to given problems or situations. And I am definitely not into games that are nothing more than a tedious succession of HOS - sadly enough, I have to comply with HOS in most so-called adventure games. Luckily, none of these in NiBiRu. So I could gladly follow the logic of the story, finding my way through the different locations. The graphics are good, the puzzles are challenging enough to keep you busy, the storyline is interesting ... yes, I liked this game and would recommend it to anyone who likes Syberia-style games. Murder and deception awaits in NiBiRu: Age of Secrets! You'll be sent reeling into the heart of an exhilirating adventure!